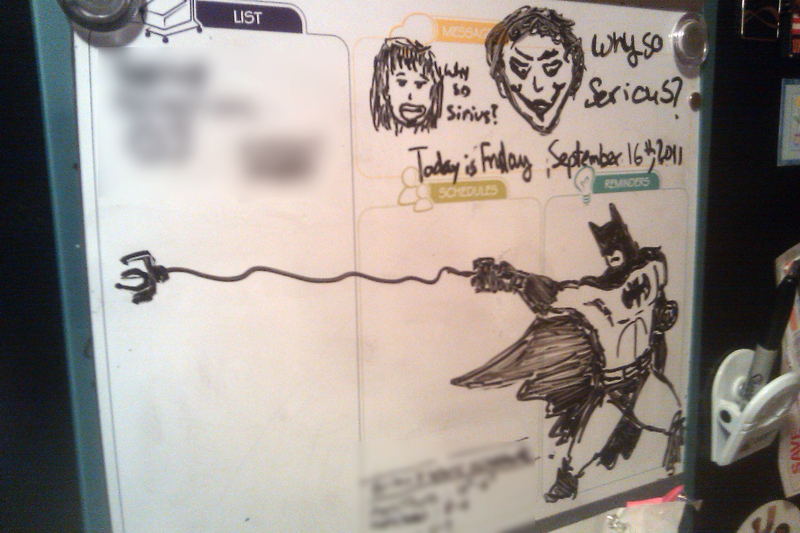 Today's Batman comes fully equipped with standard-issue grappling hook. Also, my friend finally gave up and decided that if he couldn't beat me, he'd join me...so those are his sketches near the top. Bravo, sir.